I enjoyed reading detailed writeups of the collaboration between Clickpass and Plaxo to launch a consumer-friendly implemenation of OpenID. 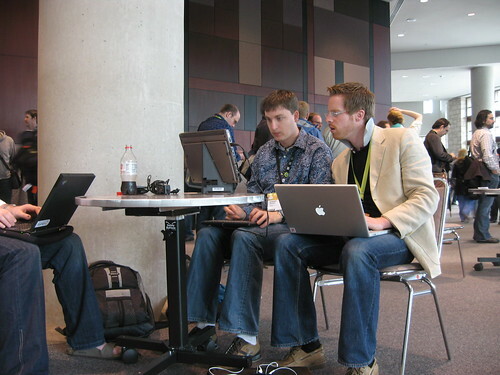 Peter Nixey, of Clickpass, (above, right) published his here. And Plaxo’s Joseph Smarr (above, left) has his post here. These two pieces provide great insight into the launch of a company. Every entrepreneur will enjoy the read.